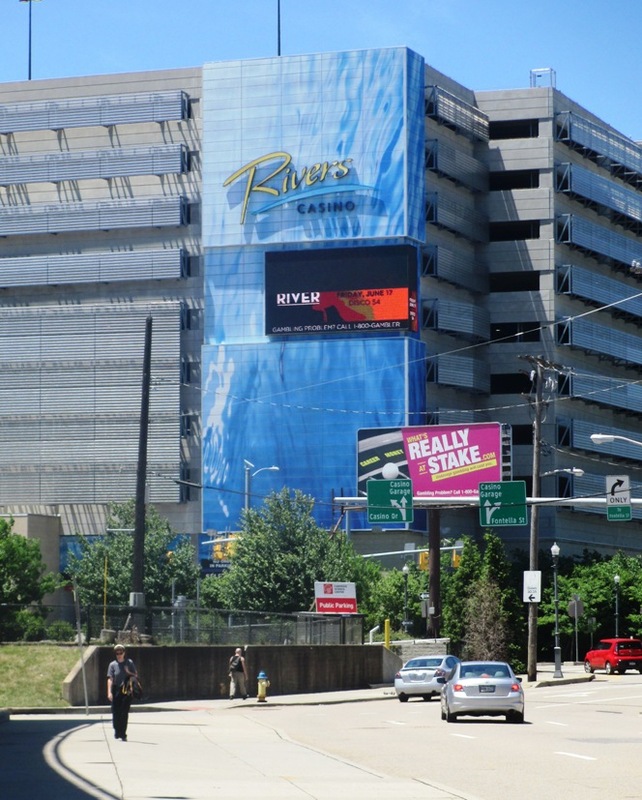 When you’re headed to a Pirates game and are searching for PNC Park parking, you have an abundance of choices, but most of the lots near the ballpark aren’t cheap and/or are set aside for pre-paid parking and season ticket holders. Fortunately, if you want to go for cheap PNC Park parking, Ballpark E-Guides has a few cool suggestions for you. You should see this in person. 1) The Fort Duquesne and Sixth Garage. 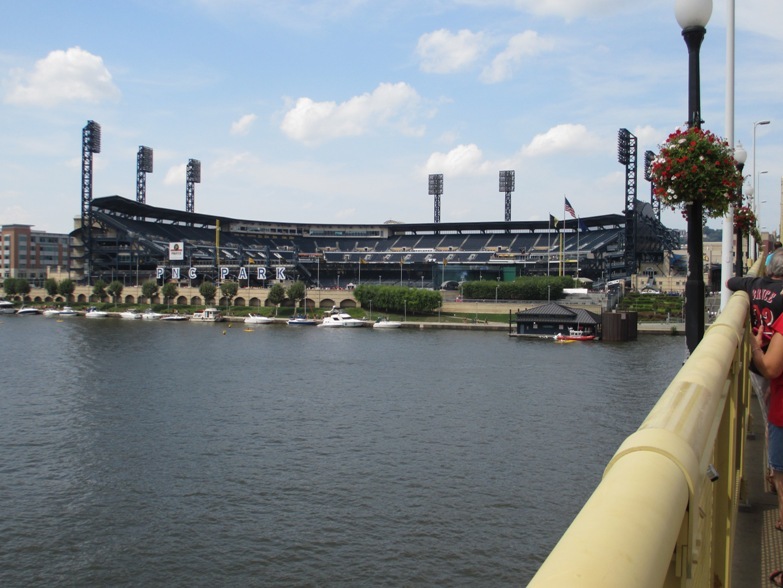 It’s relatively cheap, it’s the closest garage in the downtown “Point” section of the city, and you can enjoy an absolutely stunning view of a beautiful ballpark walking across the Clemente Bridge (which is closed off to vehicular traffic on game days). And you can get cheap peanuts, drinks and souvenirs from vendors right at the foot of the Bridge. Hint: North Shore features PNC Park! 2) The First Avenue Garage. I discovered this one recently and noticed quite a few Pirates employees using it, so I know it’s a smart choice. 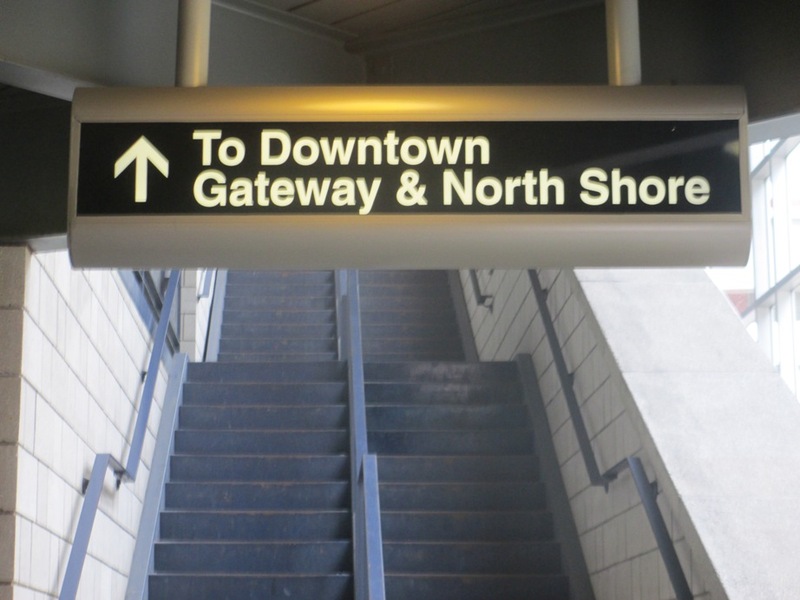 It’s a small few bucks to park here, and you can use an elevator to get dropped off right at the platform of the First Avenue Port Authority “T” station…from which you can ride for free to North Shore, literally across the street from the PNC front gate. Low price, very little walking, and a super easy out after the game back on the highway. Gamble on a cheap spot! 3) The Rivers Casino. I’ve heard differing accounts on whether it costs anything to park here for a Pirates game. According to the casino’s website you pay the event rate four hours before the game, but it’s reimbursed to you if you dine or gamble there. But I’ve also heard plenty of people say they’ve parked for free here; I presume it would be free before the game rate kicks in. There’s nothing wrong with the walk from here, with a nice waterfront pathway that goes past several great eateries like Burgatory. But if you’re tired you can hop on the free T from Allegheny Station to North Shore. That’s just three cool PNC Park parking options, but you can arrive at PNC almost any way you want…by bus, by boat, or even a bicycle…stay tuned. Want to know more about PNC Park? 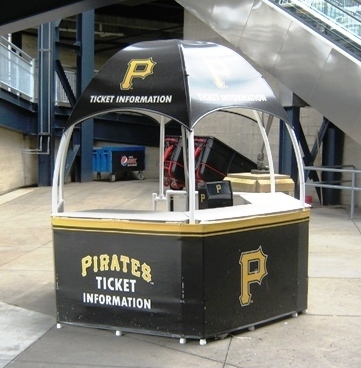 Sign up here for my completely free PNC Park e-mail newsletter series, and score some seriously valuable info about tickets, seating, transportation and food…see you at the Yard! Best Ballpark In Baseball – PNC Park? Enjoying the cool Pirates game tips? Sign up today for the absolutely free Ballpark E-Guides PNC Park newsletter!